James Taylor and Kelly Clarkson Among Performer for President Obama’s Inauguration Ceremony. James Taylor and Kelly Clarkson are among those who will be performing in Washington D.C. at the Capital Building on January 21st for President Barack Obama’s inauguration ceremony. Taylor will be singing “America the Beautiful” and Clarkson will sing “My Country ‘Tis of Thee.” Hip hop/pop singer Beyonce will be performing the National Anthem. All three of the singers were picked by the President who will be sworn in for his second term in a private ceremony the day before the big inauguration shindig. Kelly Clarkson Embraces Her Inner-Country and Moves to Nashville! In an exclusive interview with The Tennesseean, pop star and American Idol alumn, Kelly Clarkson shared the low-down on her recent move to Nashville, TN, and its got us hoping that Clarkson will be releasing some country music soon! Now, we’ve all been thinking and drawing all kinds of conclusions as of late, and we country music fans kind of want Clarkson to just transition right on over to country music…for real. She has her amazing duet with Jason Aldean under her belt, she just earned a CMA nomination, and she’s practically a member of country music royalty (currently dating Reba McEntire’s stepson, Brandon Blackstock). So, clearly all roads point to a country music career, right? Kelly herself admits that life seems to be taking her that way, telling The Tennessean the following, “…I think it’s just because, I don’t know, I do love pop music, but I think I have more of a Southern mentality. Even just emotionally, I’m more that girl. So I get along better with the Mirandas and the Blakes and the Jennifers and Rebas.” -Kelly Clarkson We’re with ya Kelly, come on over! Kelly Clarkson Dishes On Weight Loss In US Weekly. Sure, Kelly Clarkson isn’t technically a country artist, but she spends so much time with some of our favorites (Reba McEntire…Jason Aldean…) that it can feel like she is at least sort of country. So, its interesting to us over here at CMNB that Kelly has found her way onto the cover of US Weekly. The 30-year old American Idol alum is dishing out the details on her recent weight loss and new fit shape. And why the weight loss you may (or may not) be wondering to yourself? Kelly credits her new found desire to shed the extra pounds to her developing relationship with Nashville-based beau, Brandon Blackstock, also known as Reba’s stepson and further known as the guy that manages Blake Shelton. Okay, its great she lost some weight, way to go Kelly! What we really want to hear about is what new music she’ll be making now that she is so securely embedded in the Nashville elite. I guess only time will tell…do you want Clarkson to release country music? Let us know below! 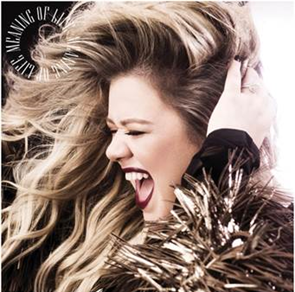 Kelly Clarkson’s Pop Hit “Mr. Know It All” Now Has A Country Version. 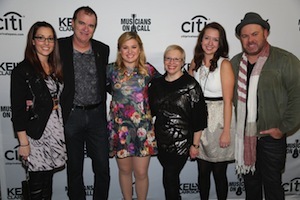 Kelly Clarkson is a pop singer with a powerhouse for a voice. Although she is not part of the country genre when it comes to her music, she has a lot of ties to the big family. She is from Texas, enjoys country music, has many friends who are currently staples in the country music scene, (Reba, Blake Shelton, Miranda Lambert to name a few) and blew people away with her duet “Don’t You Wanna Stay” with Jason Aldean. Recently her pop hit “Mr. Know It All” was tweaked and changed to be played on country stations. The question is should it have been done? Some might argue that the lyrics fit right in with the things they hear on their local radio stations now, the only thing keeping it from being country is the music. Well…isn’t that a big part? Anybody could add some pedal steel to many songs and would make it more “country.” This is a big topic of debate these days, what is country? Below are two videos…one that is the audio to the country version of “Mr. Know It All” and the other is the official music video for the original version (pop version) of “Mr. Know It All.” Tell us what you think! Which version do you like better? Do you think she should do more country versions?